The Low-Down: Hackers Are Using Video Game 'Fortnite' In-Game Currency To Launder Money. Hackers Are Using Video Game 'Fortnite' In-Game Currency To Launder Money. The online battle royale game has become popular with children and teenagers because it is free to play and available on every major gaming platform. But the money spent within the game to buy outfits, weapons and other items has also made it popular with cybercriminals. Stolen credit card details are being used to purchase V-bucks – the virtual currency used to buy items in the game – from the official Fortnite store. 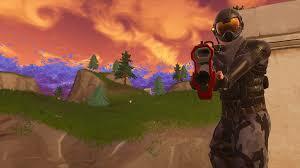 By selling V-bucks at a discounted rate to players, the criminals are effectively able to “clean” the money. An investigation by The Independent into online black markets selling V-bucks, together with research by cyber security firm Sixgill, revealed the scale of the money laundering operations. With more than 200 million players worldwide, the game generated $3bn (£2.3bn) profit in 2018 for Fortnite developer Epic Games. It is unclear how much profit criminals were able to make through money laundering, though Sixgill found that Fortnite items grossed more than $250,000 on eBay in a 60 day period last year. Figures from the firm also show that the number of mentions of Fortnite on the dark web have risen in direct correlation with the game’s monthly revenues. The vendor accepts bitcoin and bitcoin cash, two semi-anonymous cryptocurrencies that are difficult for law enforcement agencies to track. Separate research by IT security firm Zerofox found 53,000 different instances of online scams relating to Fortnite between early September and early October. An estimated 86 per cent of the scam incidents were shared via social media platforms like Facebook, Instagram and Twitter. Fortnite developer Epic Games did not respond to a request for comment from The Independent, and security experts say the firm is not doing enough to prevent illegal activity on its platform. “Epic Games doesn’t seem to clamp down in any serious way on criminal activity surrounding Fortnite, money laundering or otherwise,” Mr Preminger said.